Observing, shadowing, volunteering, working – different names, same goal! 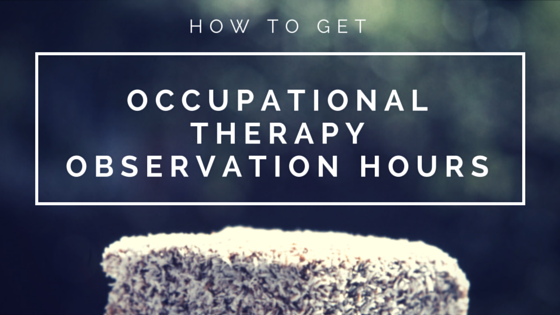 One of the questions I hear most often as I interact with prospective OT students is about how and where they can get observation hours with an OT or OTA. Many programs require at least 20 hours of direct observation with an OT, but some programs require 50 hours or more. Read on to find out how to get those all-important OT observation hours and have a great time while you do it! Determine your goals. 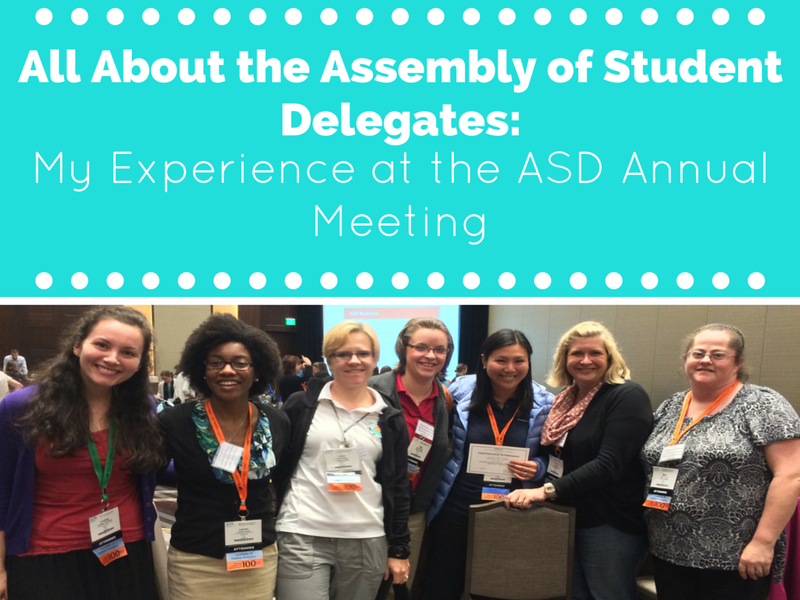 What do you want to get out of being an ASD delegate? 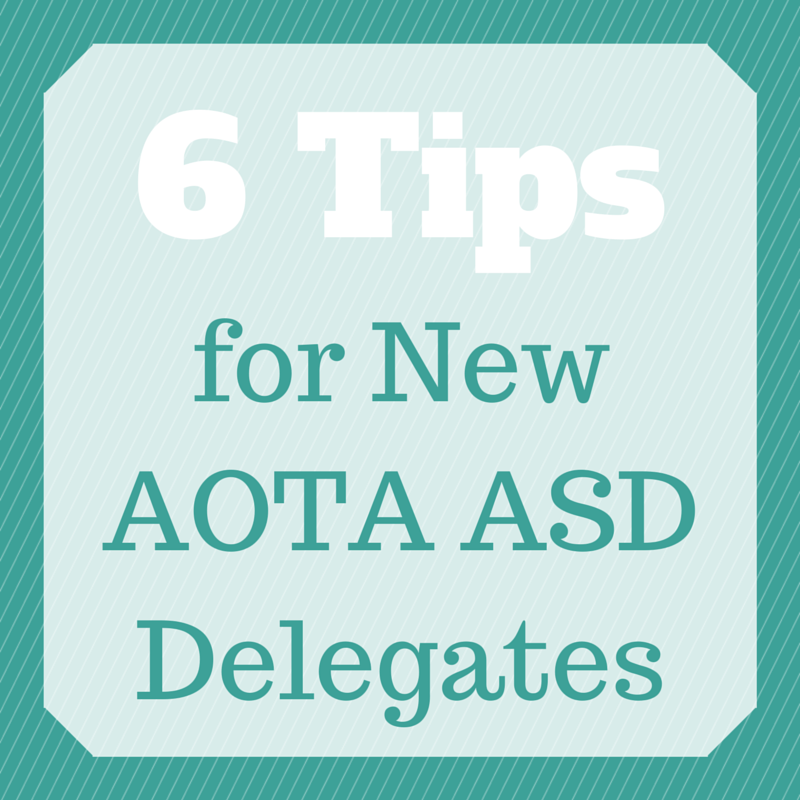 What can you do for others as an ASD delegate? When the whirlwind of Conference eventually dies down, I encourage you to take a moment and make a list of goals and priorities you have for yourself, for your program, or for ASD or AOTA as a whole. Being a delegate provides a unique opportunity for you to network with our professional leaders (both students and practitioners), benefit from their knowledge, and use that knowledge to benefit others. 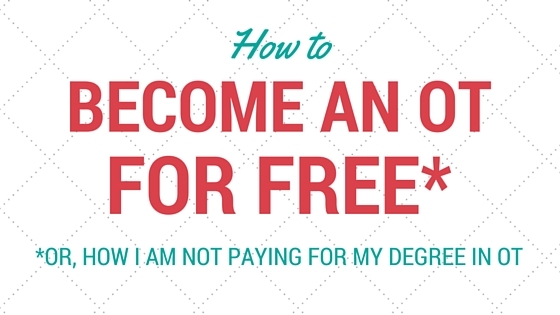 It also gives you a great opportunity to hone your talents and skills, and taking time to decide how this opportunity can support your personal and professional goals will help you decide how best to move forward. KISS (Keep It Simple, Student!). The ASD meeting was long. VERY long. And it was also very informative! However, trying to cram a whole day’s worth of information into a presentation for your classmates during finals time (aka the end of April after Conference) isn’t an effective way to share what you learned. Decide what the four or five main points are from the discussion and make a 10-15 minute presentation (complete with calls to action and links to information) that your classmates can benefit from immediately. For example, discuss the upcoming spring scholarship deadlines and resources for students headed out to summer fieldwork instead of the fall 2015 ASD Elections or Student Conclave. Don’t reinvent the wheel! Although you are responsible for being aware of what is happening within the profession, you don’t have to go far to find this information. Use “ready-made resources” like the OT Student Pulse newsletters, social media outlets, and AOTA emails to help inform your presentations to classmates about what’s going on. If you haven’t already, consider creating an “AOTA” or “ASD” folder in your email inbox to help keep track of important information and updates as they arrive. Think ahead. As an ASD delegate, you have the opportunity to be the first line of information for your peers when they have questions about ongoing professional events, especially regarding student-specific programming. Take a minute to jot down or type up a rough outline of the dates and deadlines for events like the Student Conclave or ASD Elections, and update it as necessary. By preparing this now, you can have a resource to provide for your classmates for the present and the upcoming year, as well as having a rough outline of the more time-sensitive topics you should focus on as you disseminate information to your peers, SOTA, or program throughout your term as a delegate. Keep the fire burning! If you’re anything like me, attending this meeting was just the push you needed to finish the school year strong and remember just why it is that you chose to join this amazing profession! When you get back from Conference, take the time to use what you learned and apply it to your life – don’t wait! If you heard about a volunteer opportunity that’s right up your alley, apply NOW! If you can’t wait to begin crafting your campaign for next year’s ASD Steering Committee, get going on a cool slogan and platform. And if you were inspired to jump start your personal or professional development, begin organizing your applications for the various programs you learned about (i.e. the COOL Database or the Emerging Leaders Development Program). Continue the dialogue. Just because the meeting is over doesn’t mean the conversation is! After I asked a question at the ASD Town Hall meeting earlier today, new ASD Steering Committee president Joseph Ungco found me (while I was writing this blog post, lol) and followed up with my thoughts. He asked me what I hoped to accomplish as a delegate, and encouraged me to continue talking about my ideas and passions with fellow ASD members, ASD Steering Committee members, and AOTA leaders both online and in person. His advice was fantastic, and I hope you’ll continue to talk with your classmates about what they would like to see from ASD, to contribute to social media and in-person discussions about ASD, and to add your own ideas to the mix! I hope you have a fantastic #AOTA15 experience, and I’ll be back again soon with more info about the 2015 Assembly of Student Delegates meeting!